Small satellite launch company Rocket Lab announced it is expanding its portfolio to build satellites, introducing its Photon platform. The announcement, made at the Space Symposium in Colorado Springs this week, enables Rocket Lab to delivery an end-to-end solution from spacecraft construction to launch. Beck said the Photon platform was designed to be an “integrated part” of the Rocket Lab portfolio from the start of its Electron launch vehicle program. The satellite is based on Electron’s kick stage module designed to precisely put small satellites into the proper orbit. Photon has an available payload mass of up to 170 kilograms, depending on orbital altitude and inclination needed, and can be configured for a range of missions. Rocket Lab says Photon is ideal for applications such as communications, remote sensing and Internet of Things (IoT), with potential customers using it for technology demonstrations and risk reduction “pathfinder” satellites through large scale constellations and hosted payloads. Photon includes the 3D printed Curie propulsion system, enabling it to stay in to orbit up to five years. It also includes an S-band communication system with up to 512 kbps bandwidth and up to 1 TB of storage. Price tag for the baseline Photon not disclosed and total bill for a spacecraft will depend on payload configuration. A Photon can be launched in manufactured in as little as four months from order to orbit, with satellite manufacturer taking place at Rocket Lab’s California headquarters. The first operational Photon – mission not yet disclosed – will be launched from New Zealand in the fourth quarter of 2019 and customers missions “in active planning” for 2020. Commercial small satellite builders using Rocket Lab to get payloads to orbit might not be happy with the development, but given the shortage of small satellite launch providers in operation at the moment, the only current alternative is working through a rideshare on a larger rocket. Government and commercial customers are likely to use Photon as a rapid prototype platform for one-off missions, then take the orbital results and data to be incorporated into a more purpose-built platform for replication. Rocket Lab isn’t the only company mixing and matching launch and satellites. Vector will start launching its own GalacticSky satellites once it gets a couple of rockets off the pad, offering customers a software-defined platform to run applications. The bigger trend is the continuing move away from dedicated and customized, purpose-built satellites to more flexible spacecraft capable of being customized to the needs of applications by using standardized buses and hosting payloads, along with software to reconfigure functions on orbit. 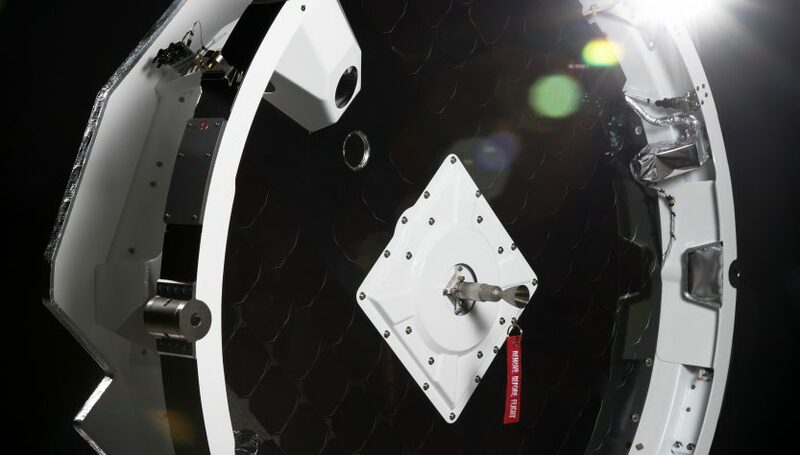 Spire offers payload hosting on its satellites with a price tag of 10 million euros to fly up to 20 payloads within 12 months. NanoAvionics is hosting a pair of IoT companies onboard one of two satellites it put into orbit this month.